More Deepities: What is "Energy Work"? In a previous post, I introduced the concept of a deepity. Deepity is term coined by Dan Dennett to describe an ambiguous statement that precariously balances between two possible meanings. One potential meaning is true but trivially obvious. The other meaning would be earth shatteringly profound if true, but is in fact false. True but boring: the scientific meaning of "energy"
First let’s review the scientific meaning of energy. Energy basically means the ability to do work, or the ability of one physical system to exert forces such as pushes or pulls on another system. Some examples of different types of energy are thermal, chemical, mechanical, electrical, nuclear, sound, elastic, magnetic, etc. Under this meaning of energy, it is boringly obvious that all forms of bodywork involve energy. The therapist is a physical system doing work on another physical system, the client, by creating forces and pushes and pulls. This is definitely true but in a way that is so trivially obvious there is really no reason to ever mention it. Imagine if a client asked about me about the kind of bodywork I do and I said: “Well, I turn chemical energy stored in my fat cells into mechanical energy to move my arms and hands, and this creates mechanical forces that push or pull the client’s body in various directions, which results in physical changes in the client's body. There might be some thermal energy passed between us as well, and some sound energy from my mouth which causes vibrations in the client’s ear.” These statements are true, but in a way that tells the listener absolutely nothing of any relevance. It is like asking Tolstoy how he wrote War and Peace, and he responds by saying he combined words into sentences and then sentences into paragraphs. So why do people say they do energy work? Because they are referring to something entirely different than the scientific meaning of energy. Usually, the “energy” to which they refer is of a kind that has not been recognized by science. Instead, the energy has something to do with a mystical force unique to living beings. This energy might be termed "vital" or "esoteric", and has been alternately named in various health care traditions as chi, qi, prana, life force, kundalini, breath of life, healing energy, etc. Some traditions claim that they can harness or channel this energy and pass it from their body to the client’s body. Others claim they are merely rearranging the client's own energy into a more healthful pattern. Many practitioners in these traditions are completely unashamed of the fact that there is no scientific evidence to support the existence of esoteric energies. That’s fine with them, they don’t care, they're not big Carl Sagan fans. Other practitioners are very bothered by the accusation that their practice lacks scientific credibility. And in arguing with the skeptics, they are very likely to start using deepities as a defense. Not out of any conscious intention to deceive of course, but because these are confusing issues with confusing language. Massage Therapist: I do energy work. I can balance your chi. Skeptic: There is no such thing as chi. 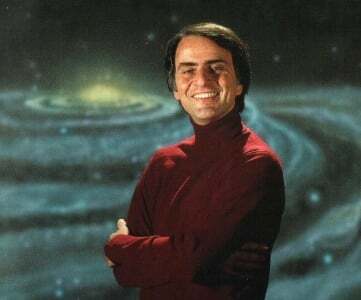 Carl Sagan is my hero. Massage Therapist: You are very closed minded and “western” in your thinking. I’ll translate so your reductionistic mind can understand. Chi just means energy. Obviously everything we do takes energy. I need to use energy to work on my clients, and if they are affected by the work, then there must have been some change in their energy in some way. I spent my sophomore year in China. Skeptic: That's fantastic. Are the laws of the universe different in China? Massage Therapist: That is a racist comment. And your turtleneck and sideburns look completely ridiculous. Skeptic: (Sobs) No they don’t! So, why did our fearless skeptic fail so miserably in this encounter? Because he did not know how to spot a deepity! Where was it? It occurred when the therapist effortlessly shifted the meaning of “energy” from “mystical force” to “boring old everyday energy.” We know this because in his first statement, he could not have possibly meant that his work was energetic only in the scientific sense - this would have been a meaninglessly uninformative statement that would go without saying. He obviously meant that he dealt in “life force” type energies that are unknown to science. But when the skeptic challenged him by invoking Saint Carl, he switched his meaning of “energy” to something much more defensible - no magic forces here, chi is just good old western energy by another name. And then he crushed the skeptic by dissing the turtleneck. One final note. I don't want to be disrespectful to therapists who do "energy work." I'm sure there are a great many who are sincere, caring and effective therapists, and who can make their clients feel better. I just think there are better explanations for why their therapies work. I will make that the subject of a post in the next week.